Pocket Fruity is the type of mobile slots site that’s easy to use. It’s entertaining, and it looks good. If you haven’t played at the place with the cartoon fruit people, Slingo original games and £200K in jackpots. Then you’re not getting your five a day. Besides having a UK license and some of the most popular slots in the world, Gaming Realms software is running the whole show, so you get their games as well! Win up to 20 free spins in the Cheshire Cat bonus game, includes a prize wheel feature! 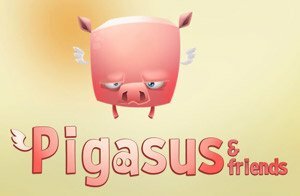 It’s true, Pigasus can offer unlimited free spins! There are up to 10 x multipliers if they end too! Sometimes you don’t need complicated; you just want fruit machines on your mobile phone. That’s what first attracted me to Pocket Fruity, a simple and entertaining mobile slots site. It’s been around since 2012, so they have experience. The UK license means fair gaming and 400 plus games tells us we won’t get bored. But it wasn’t always this big. It was originally a mobile casino with original games, but they added big slot brands and desktop access for players wanting Pocket Fruity slots at home. Gaming Realms own the website; they built the cool platform, and they also make some of the slots found at the casino. Creators of Slingo, the cross between slots and bingo, Gaming Realms means you can play that here too, and more than one version. The purpose of Pocket Fruity is simple. It connects players to games and jackpots while keeping our details and deposits secure. For people like me who play fruit machines and now want them on my phone, this place has a fruit bowl full of them. Big prizes, real money games of chance and a Pocket Fruity VIP program are reasons to play here. It doesn’t take long to work out how Pocket Fruity works. That’s the main positive here, the design and layout are easy. Opening your account is instant, and the process is straight-forward. Following a verification check, you can deposit and play the casino games, slots, and Slingo in good time. The only rub here, there’s no demo games or free play once inside Pocket Fruity. That said, who needs free play when you can have organised menus of the real stuff. Whether you want online fruit machines, Slingo games with jackpots up to £100,000 or live casino, you can find it all where it should be. We know where to look, and it’s easy to get familiar with everything. That’s a good mobile slots site in my book. Any casino that can offer 400 plus games can entertain players, that’s what Pocket Fruity can do. Entertainment using chance games is the casino’s sole purpose. So it must have the jackpots, payout rates and variety to keep us interested. You also need new slots and original Slingo to edge the competition. That’s the trick up the websites sleeve. You think pocket; you think small. But the reality is a much bigger portion than you could probably handle. Pocket Fruity’s lobby is separated neatly with different game tabs. Slingo, slots, live casino, casino games (simulated roulette, etc. ), instant win games and Slingo boom. That, by the way, is a fast-paced, more sociable form of bingo. Yes, there are chat rooms at Pocketfruity as well. Slingo is exclusive to the Gaming Realms websites because they built it. But what is Slingo? If you can imagine mixing bingo and online slots, you get the idea. Think bingo card, but then spin it like a fruit machine. Sounds fruity, but with big game money its worth considering. Slingo Riches offers up to £20,000 in cash while Slingo Extreme can pay out £50,000. There are numerous Slingo games at Pocket Fruity, and each one is cleverly different. 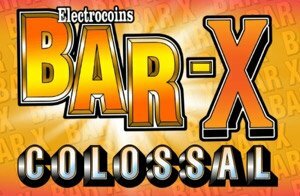 Slingo originals also made skill game Magic Mine and launched two new mobile slots just recently, Pigasus and Bar X Colossal. All available to play at this casino. I can’t list them all, but Pocket Fruity online slots include some of the world’s biggest games. With jackpots that hit the big numbers, slots with awesome graphics and serious gameplay, it’s all here. Developers include Microgaming, NetEnt, and IGT amongst others. These are big players in mobile casino, and that means this website will keep getting new games. 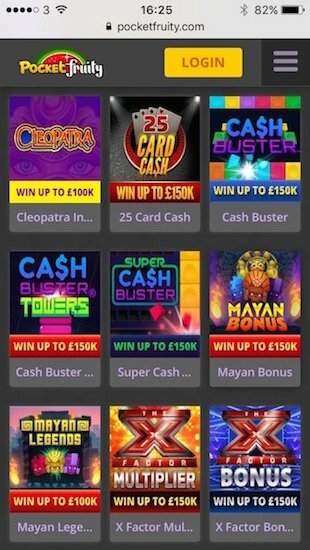 You can find something from every theme, play slots from just 10p or high roll on big pay tables. It’s the variety and betting control that’s important, and it scores high at Pocketfruity. 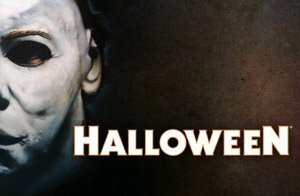 I would say Halloween, Blood Suckers II, Ghostbusters Tripple Slime, Big Wheel and Beautiful Bones are slots worth looking at now. The idea behind Pocket Fruity is lots of online fruit machines, but sometimes you can mix it up. You can change the speed of how you play. Table games you can play slower than slots while instant win games are like sprinting for prize money. Pocket Fruity offers both types in the casino and instant win categories. Instant win games include 25 plus virtual scratch cards including super cash buster, the X Factor bonus and fast buck lucky. While I’m not personally a fan of online scratch cards, I can see the appeal. The games in the instant win category can fetch up to £150,000. Pocket Fruity calls it quick, fast and fun. I call these games nerve-wracking. Casino games include the obvious classics such as European Roulette and Blackjack. The software is good, it does the job, but the live dealer experience is better still. New game Dream Catcher is the latest live casino game pulling in the crowds. You spin a wheel to win and hopefully hit multipliers along the way. If you like immersive sociable gaming online, Dream Catcher is all you need at Pocketfruity. Pocket Fruity Casino features online support via live chat, email or telephone support. If you’re playing for real money, you can finance your account via secure banking methods such as Visa, Maestro and Mastercard. The site also accepts pay by mobile phone so players can use their various mobile phone network bill to deposit but with limits imposed by the network operator. (normally up to £30 per day). In looking at withdrawal times at www.pocketfruity.com, following security verification of a player’s ID, withdrawals can take up to 5 working days to process fully to completion. Yes, a bit of patience needed. I’ve hit the point hard; the Pocket Fruity mobile slots site is simple. I’ll mention the cons again; there could be more banking methods, and we don’t get free play in the lobby. Always nice to try a new game before we deposit. But we do get a VIP program, all the Slingo you could shake a stick at and lots of entertainment. Funny, fruity, lots of good ideas and support. 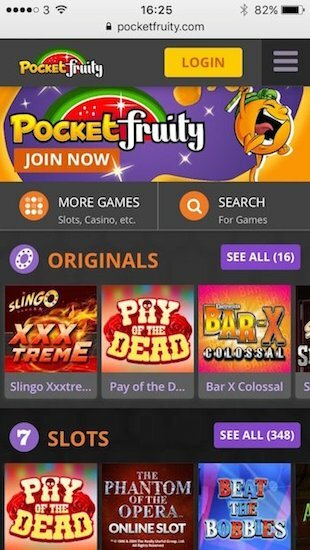 Pocket Fruity connects players to some big fruit machine jackpots and lots of Slingo worth a go!